The park protects provincially significant and productive tidal wetlands, river estuaries, fish and wildlife habitat, salmon streams and Grizzly Bear habitat. There are no developed trails at this park. Please obey posted signs. Jet boat access through the park on Dala River is not possible due to log jams across the river below the power lines. Jet boat access through the park on Kildala River is possible at both low and high tide, but use caution for other boaters or obstacles in the river. Dala-Kildala Rivers Estuaries Park is located at the east end of Kildala Arm, along the east side of Douglas Channel, approximately 15 km southeast of Kitamaat Village. Access is by boat only. Use Marine Chart #3743 (Douglas Channel) and NTS Map Sheets # 103 H/15 (Kitimat Arm) & 103 H/16 (Kildala Arm). History - Dala-Kildala Rivers Estuaries Park was designated as a Park on May 20, 2004, following recommendations from the Kalum Land and Resource Management Plan. Wildlife - Dala-Kildala Rivers Estuaries Park protects a Nationally significant over-wintering and migration staging site for migratory bird species. The park includes the habitat of such bird species as Trumpeter Swan, Great Blue Heron, Western Grebe, Red-Breasted Merganser and Canada Goose. The park also protects important Grizzly Bear habitat and the Dala and Kildala Rivers support significant runs of Pink and Chum Salmon, with minor runs of Coho and Chinook Salmon. Kayakers and canoeists may enjoy exploring the estuaries and rivers in this park. There are opportunities for salmon or steelhead fishing in Dala & Kildala Rivers. Please consult the appropriate non-tidal fishing regulations for more information. Anyone fishing or angling in British Columbia must have an appropriate license. 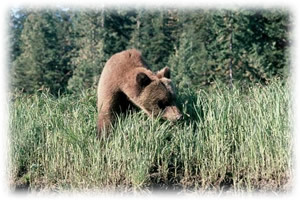 Hunting is permitted in the park during lawful hunting season. Check Check hunting regulations and hunting synopsis. The estuaries in this park can provide wildlife viewing opportunities for waterfowl, Grizzly bears, Black-tailed deer and sometimes wolves. Also at times, Humpback and Killer Whales can be seen in the marine waters of Kildala Arm. Please Conserve Firewood. Limited burning hours may be in effect at some parks and fire bans may be implemented during extremely hot weather conditions. No firewood available. While campfires are allowed in this backcountry area, we encourage visitors to use campstoves for cooking purposes. To preserve vegetation and ground cover, please don't gather wood for fires from the area unless required for emergency situations. Dead wood is an important habitat element for many plants and animals and it adds organic matter to the soil. Wilderness, backcountry or walk-in camping is allowed, but no facilities are provided in the park. However there are 2 cabins just outside the park for public use. They are trapper's cabins built by the Haisla First Nation and are available for public use. Each cabin is 15’ x 12’ with double bunk beds. The cabins are available on a first-come, first-served basis. Be prepared to sleep outside if the cabins are full. The first cabin is located at the north end of Atkins Bay and the UTM coordinates are: Zone 09U; 5966855 m North; 0528760 m East. The second cabin is located by Falls River and the UTM coordinates are: Zone 09U; 5964455 m North; 0531351 m East.